The 3D structure-function group, within the department of Biochemistry at the Cardiovascular Research Institute Maastricht (Maastricht University), a unit that started in 2008. 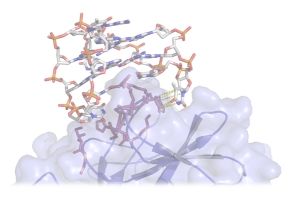 The group has a broad interest in structural bioinformatics, computational drug design and in the structure-function studies of proteins that are involved in homeostasis as well as in many pathological conditions such as thromboembolism, bleeding, inflammation and sepsis. 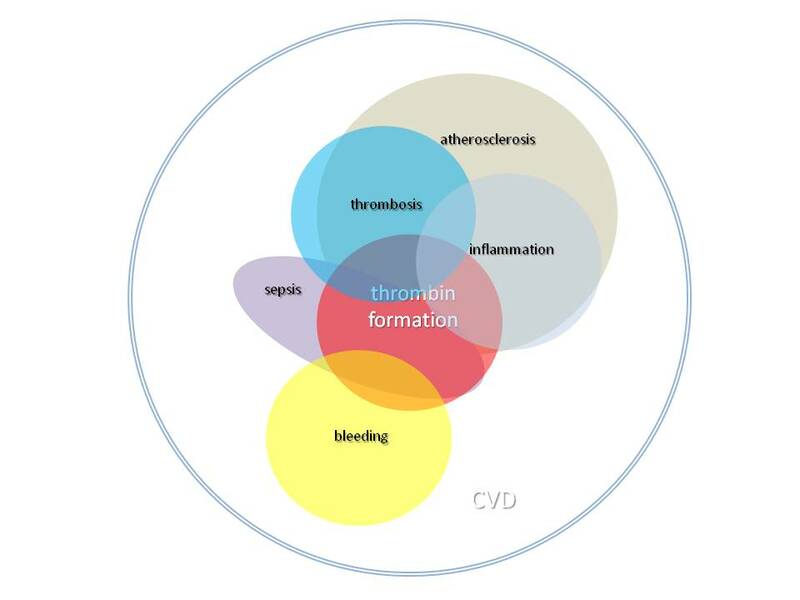 Having established a firm basis in studies on coagulation proteins, we expanded our views to the broader cardiovascular field. The figure below illustrates the playing field we are currently active in. Besides our active participation in the education of medical students and biomedical sciences students at the Faculty of Health and Medical Life Sciences, we also provide expert knowledge in biochemistry in general, and structural bioinformatics in particular. Central to our research approach is the information exchange between experimental (i.e. 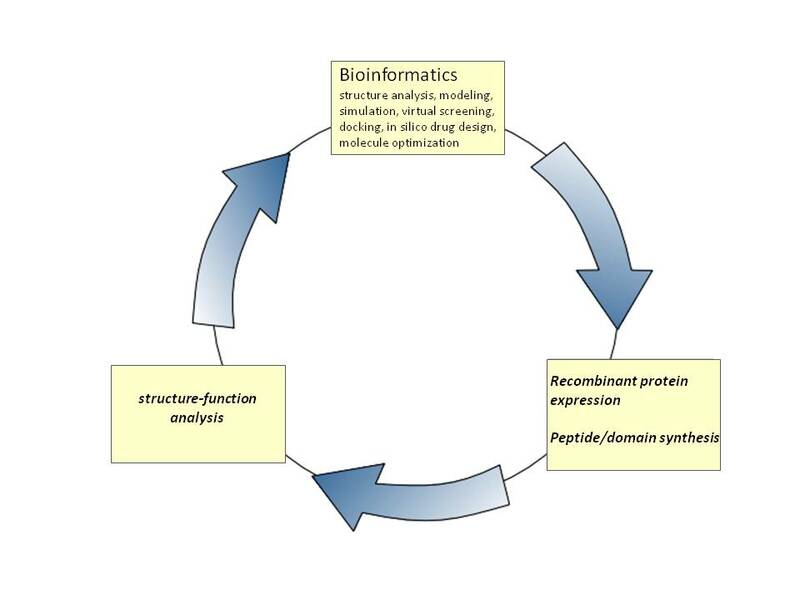 basic biochemical/molecular biology/peptide chemistry/surface plasmon resonance/ITC) and computational approaches (docking/molecular modeling/virtual ligand screening) such that new information on the function of these studied proteins can be obtained. Ideally we use or propose a molecular model that can explain a reaction mechanism and on basis of this model we develop a working hypothesis that is tested by means of mutagenesis study or any other type of study which allows us to proof (or disproof) our hypotheses. We always adhere to a structure-driven approach to guide and rationalise the functional work. With any new information obtained, we can improof our 3D models and thus continue in the research cycle given below. Ultimately our approach should lead to improved treatment regimes, diagnostics as well as novel therapeutics in the cardiovascular field. To accomplish our goals, we have built an infrastructure that combines both wet lab and in silico technologies and includes state-of-the-art equipment for direct binding study of biomolecules. Moreover we greatly value our collaborations with other expert laboratories.